It is said that harmful organisms affect literally billions of people. And more than an estimated 150 million Americans alone may have these invaders lurking inside their bodies without even knowing it. Once a person is infiltrated, it's not difficult to eliminate the adult organisms. What is difficult is in dealing with the complete life cycle of these intruders. Paratrex® is one of the most powerful aids in helping the body create an internal environment that is hostile to unwanted invaders. 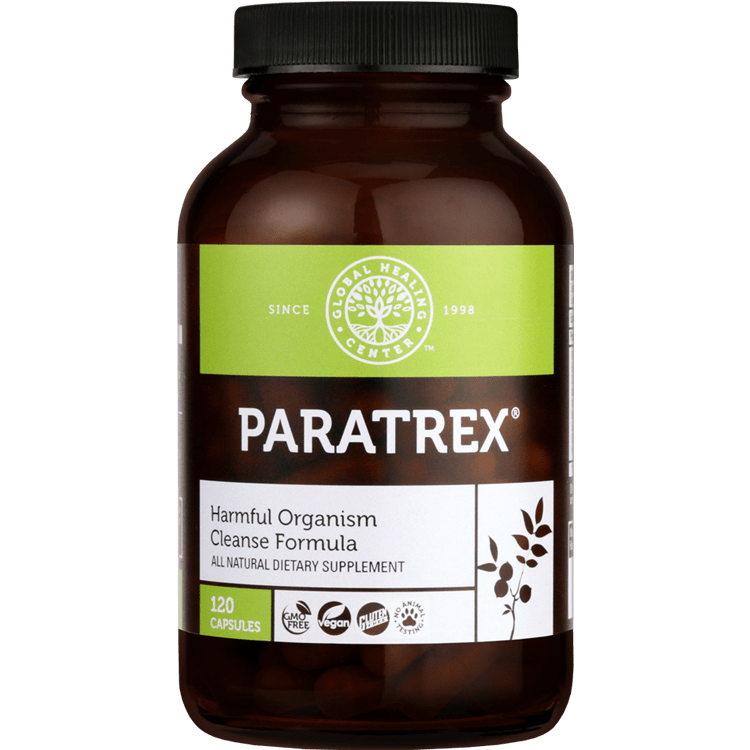 Paratrex is a complete all-natural blend of ingredients formulated to boost the cleansing and detoxification of harmful organisms. Harmful organisms are all around us and can be transmitted by people, pets, the environment, food, and water. They steal your nutrients and release toxic waste into your body. When you've been infiltrated and become a dumping ground for these harmful organisms, your health can suffer. Paratrex can help cleanse your body of these unwanted invaders. What if you opened the doors and windows to your home and allowed wildlife to enter and live, unchecked. How long would it take before catastrophe would be declared? In principle the inside of your body is the same way, harmful organisms release waste and weaken your immune system. Harmful organisms are just like any other living organism -- they need nutrition for survival. When they've made your body their home, their nutrition comes from you. Harmful organisms feed off your food and take away your nutrients. Contaminated food, water, air... nobody is immune to exposure from harmful organisms. In fact, you may be affected right now and not even know it. Warning signs of harmful organism infestation can vary from none, to mild discomfort, to serious disease. If you experience abdominal issues, digestive issues or symptoms such as constipation, nausea, malaise, weakness, loose stools, or weight fluctuations it could be an indication that harmful organisms are at the root of the issue. 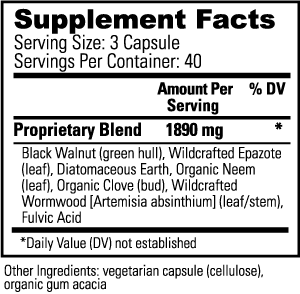 There are cheaper "harmful organism cleansing" supplements on the market, but you can't buy a better one. Pesticide laced "herbs" from China are a real issue you don't have to worry about with the products that OAWHealth offers. Choose Paratrex and avoid the frustration of dealing with ineffective, junk supplements. For the complete harmful organism cleanse, please view the instructions for the Optimum Wellness Harmful Organism Cleanse Kit. Keeping the bowel in an alkaline state is suggested while taking Paratrex. To accomplish this eliminate the following: refined sugar, non-organic dairy, wheat, red meat, fish, and poultry. These foods are acidic in nature and parasites thrive on them. We recommend lots of raw organic fruits (berries and green apples) and vegetables (thoroughly wash them first) and consuming half of your body weight in ounces of clean, purified water every day.